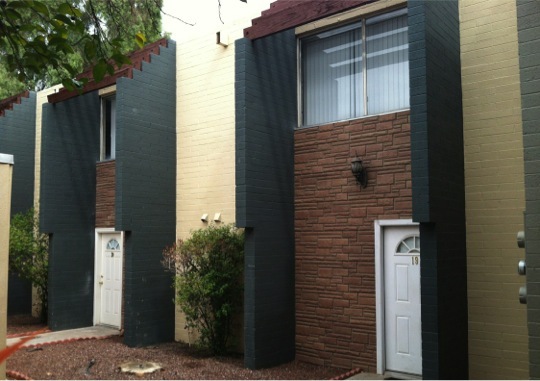 (Phoenix – November 12, 2012) – Vestis Group is pleased to announce that Principals Natan Jacobs and Les Litwin have completed the sale of 22-units (bulk condos) of Tuckey Downs Condominium for $1,175,000 / $53,409 per unit. The buyer, Mor Business/Morris Family Trust, a private investor, purchased 22 of 31 units within the community. The seller was Landsmith at Tuckey Downs, LLC, of Delaware. Natan Jacobs and Les Litwin with Vestis Group in Phoenix represented the buyer in the sale. 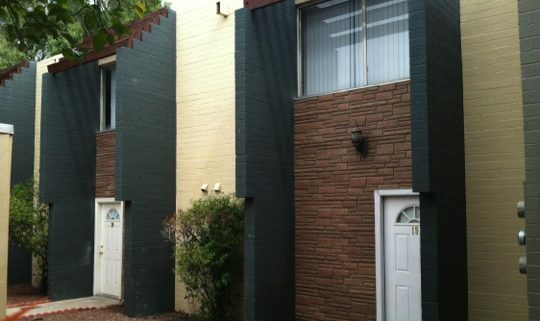 Tuckey Downs is a 31 unit, garden-style condominium community located in north central Phoenix. Built in 1972, Tuckey Downs has a flat roof and concrete-block construction, two-level buildings with townhome style units. Tuckey Downs was renovated in 2007 for a conversion. The unit mix is comprised of 22 two-bedroom / one-and-one-half-bath townhouse-style units of approximately 1,007 square feet. All the units have private backyards/patios, extra storage under the stairs, stackable washer/dryers, spacious kitchens and large closets. Common area amenities include a swimming pool, covered parking, gated courtyard that all condos front doors open to. Tuckey Downs Condominiums is situated along West Tuckey Lane, just East of 19th Avenue, a major north-south thoroughfare running through the Phoenix, Arizona. Numerous re-development projects (commercial, multi-family and single-family) are situated in the immediate vicinity of the subject property. Tuckey Downs is also convenient to public transportation, with bus service provided along 19th Avenue and Glendale Avenue. Tuckey Downs enjoys an excellent North Central Phoenix location. The property is located in a quiet residential neighborhood less than one half mile south of the Glendale Avenue and just East of 19th Avenue. Tuckey Downs is within close proximity to Interstate 17 and Light Rail Station at the Phoenix Spectrum Mall. The I-17 Freeway allows for a convenient commute to Downtown Phoenix, North Scottsdale at the Loop 101, Tempe off the I-10 Freeway and Sky Harbor International Airport. Tuckey Downs has several schools in the area including Grand Canyon University. Major employers in the area include VA Hospital, Blue Cross/Blue Shield and Phoenix Baptist Hospital. Neighborhood retail includes Phoenix Spectrum Mall, Wal-Mart, Walgreens, Albertson’s, Fry’s and Trader Joes.